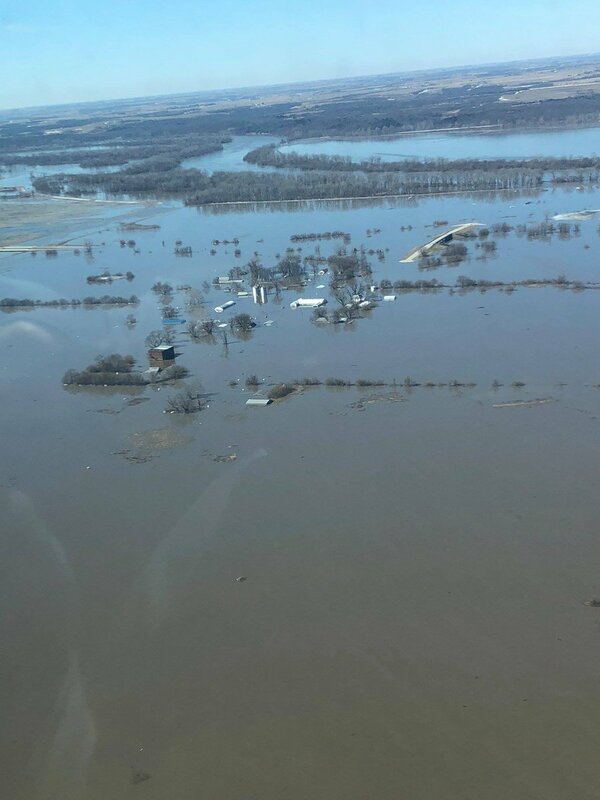 ​Thawing snowpack and heavy rains have brought historically high flooding to several Midwestern states and have led to thousands of evacuations. 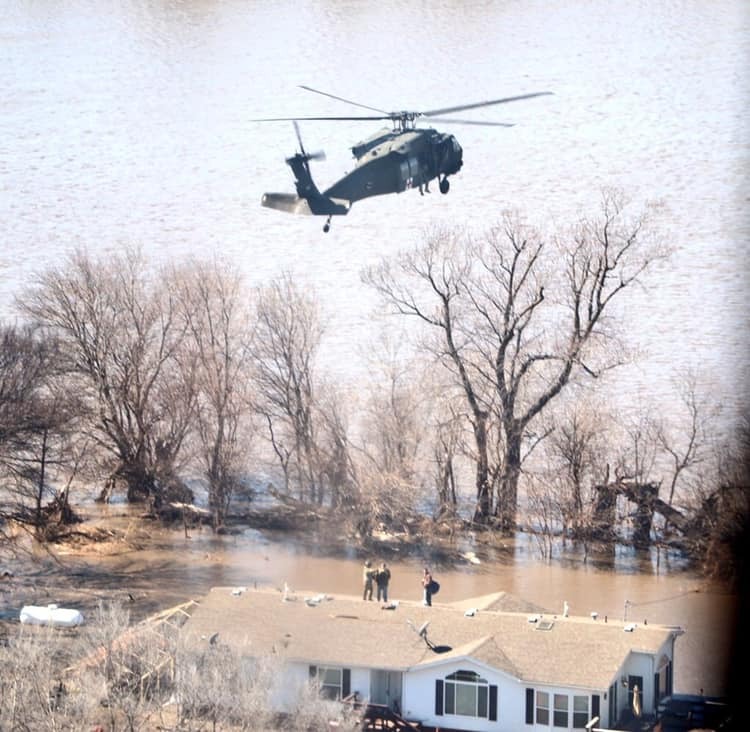 Three people have died, including a man who officials say was trying to rescue strangers from freezing flood waters. 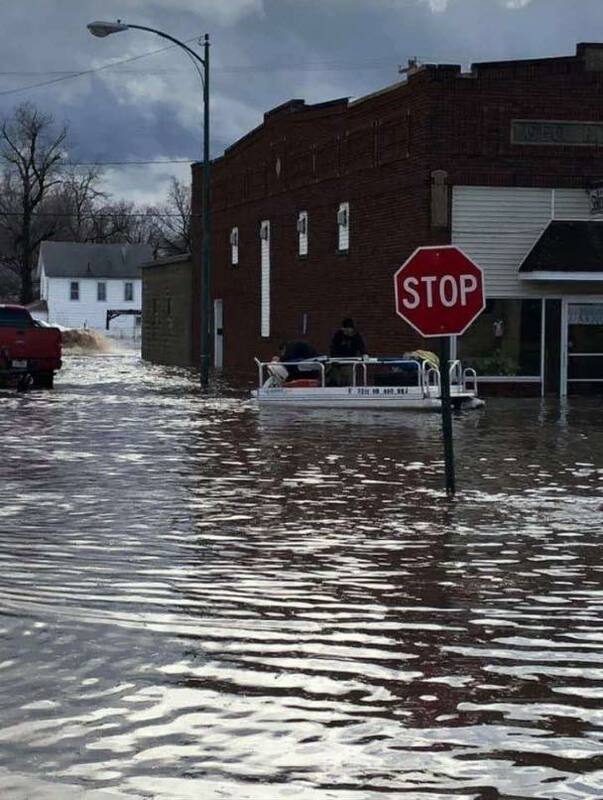 Record-breaking flooding in at least five states has led to emergency declarations. Several communities have been cut off from outside help. It follows a powerful winter storm that slammed the US last week. 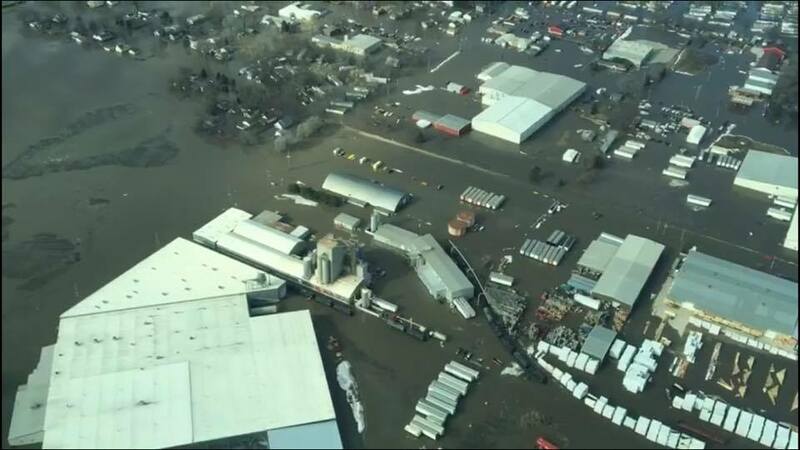 A hurricane-like weather phenomenon that scientists call a "bomb cyclone" hit the western Rocky Mountains and US Central Plains last week, showering snow and freezing rains on millions of Americans in Iowa, Nebraska, Wisconsin, Minnesota and South Dakota. 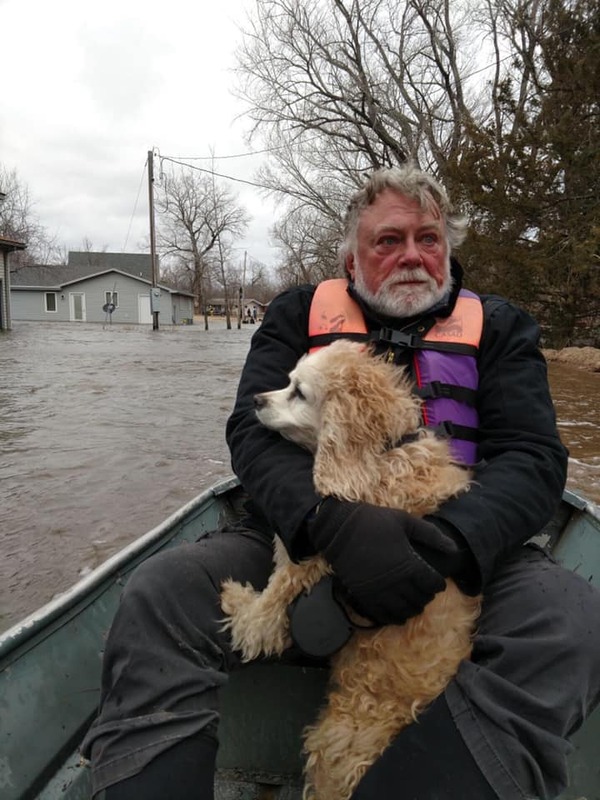 The National Weather Service said flooding would continue across parts of the Central Plains and Upper Midwest for the rest of the week. President Donald Trump described the floods as "devastating" and said the White House would keep in close contact with state officials. 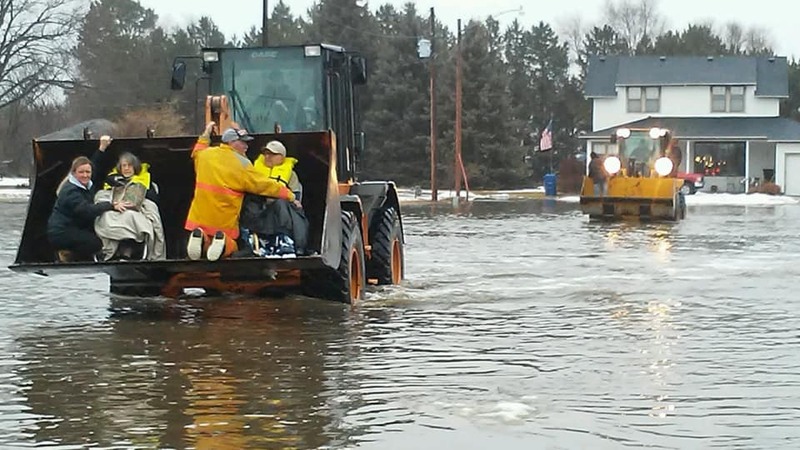 In a statement, Wisconsin Governor Tony Evers said "warm temperatures and rain the last few days have caused much of the heavy snowpack and ice to melt resulting in flooding, ice jams and rivers and creeks to rise". 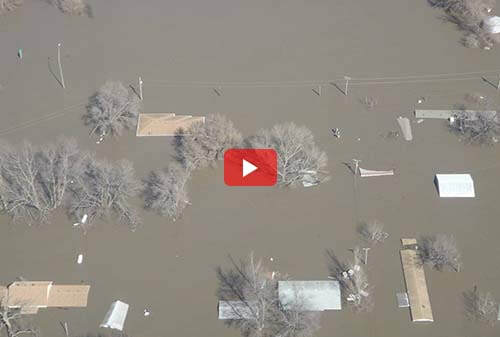 The Missouri River has reached record high levels in several locations, including in Iowa and Nebraska, which have been hit hardest by the flooding. 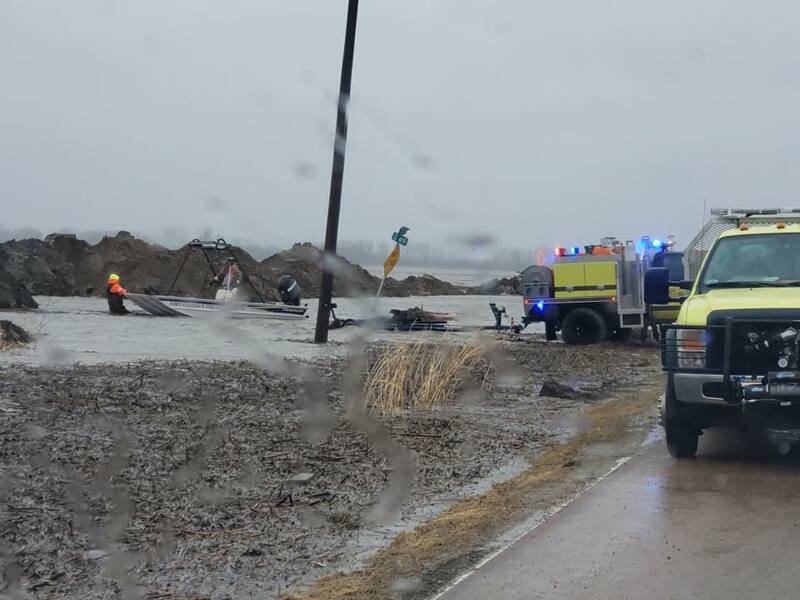 Residents in the towns of Bartlett and Thurman were ordered to evacuate on Sunday, 17 March 2019, as levees were breached. Three people have been killed and two other men have been missing for days. 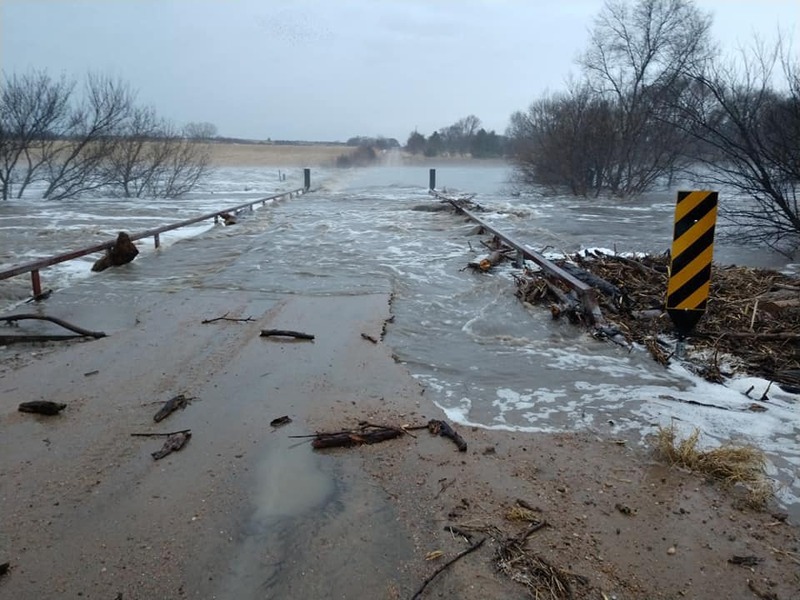 Aleido Rojas Galan, 52, was swept away in a vehicle in south-western Iowa on Friday, 15 March 2019, while 50-year-old James Wilke was killed in Nebraska when a bridge collapsed as he tried to help motorists. Two other men remain missing. 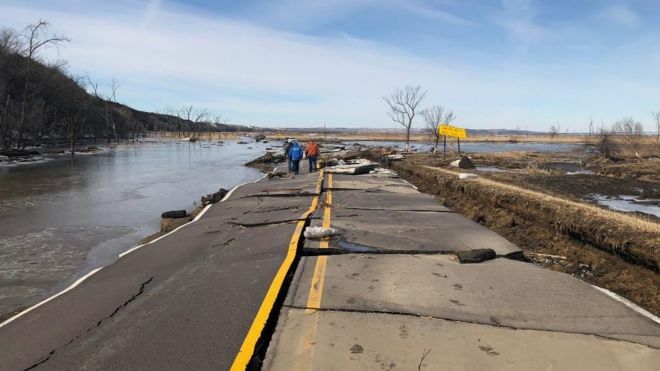 An initial assessment in Nebraska put the cost of damage so far at more than $260m, emergency management officials there said. 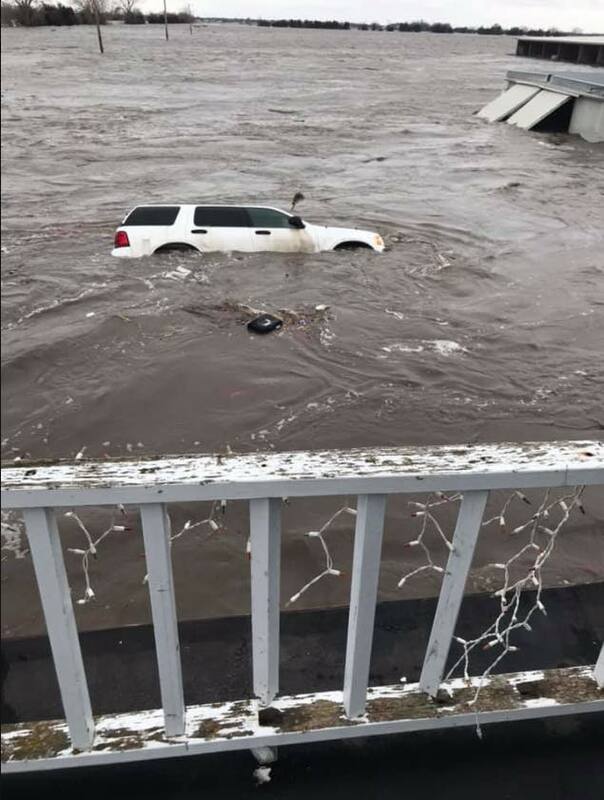 Fremont County Emergency Management Director Mike Crecelius told the Associated Press that it was not just the amount of water breaching levees and riverbanks but also the swiftness of it that has been creating a dangerous hazard. "This wasn't a gradual rise," Crecelius said. "It's flowing fast and it's open country - there's nothing there to slow it down." 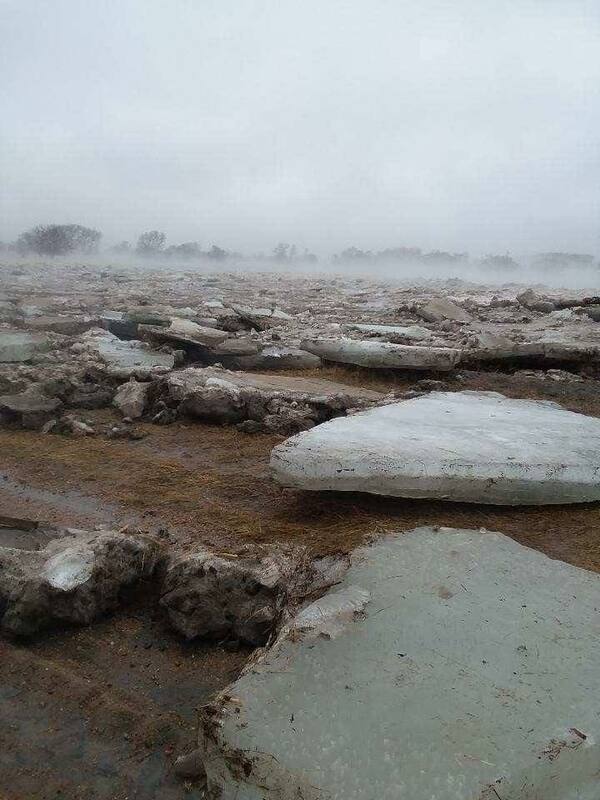 The notice led to concerns of a meltdown only 60 miles (100km) south of Omaha. But by Monday, 18 March 2019, the plant continued to operate at normal capacity after workers filled sandbags along the river levee.